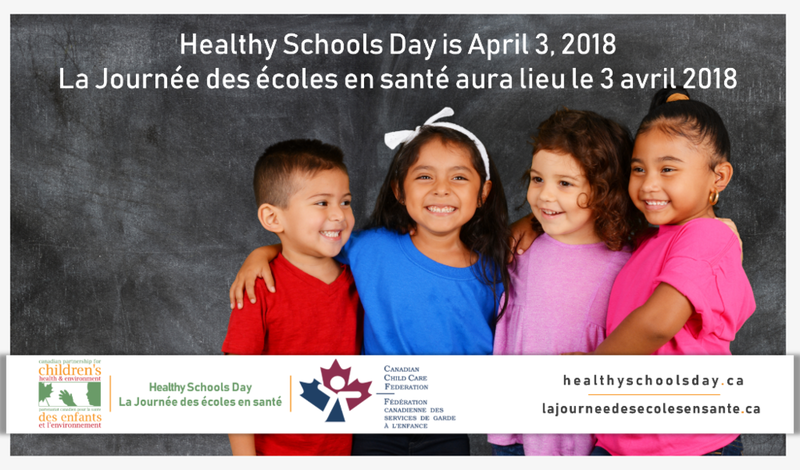 This Healthy Schools Day, April 3rd, the Canadian Partnership for Children’s Health and Environment (CPCHE) and the Canadian Child Care Federation (CCCF) will launch a national petition urging mandatory action on radon in schools and child care programs across the country. The Rule Out Radon petition is accessible at www.healthyschoolsday.ca. Radon exists in all regions of Canada and is the number one cause of lung cancer among nonsmokers. Formed by the gradual breakdown of uranium found in rocks and soil, radon is a radioactive gas that can seep through foundations and build up to harmful levels indoors. Since radon is both colourless and odourless, the only way to know if radon levels are too high inside a home, school or other building is to test for it. Testing is simple and inexpensive. If elevated levels are found, the problem can be fixed. According to CAREX Canada, only four of Canada’s 13 provinces and territories have ensured that all schools within their jurisdictions have been tested for radon at some point in the past decade (see below). Only Yukon has legislation that now requires testing. Older PostGoodLife Kids Grant Program: Applications Open Today!